Basically the same bike as the Bulldozer Plus with a higher voltage battery and very slightly smaller Ah. This bike will have slightly lower torque (you wont notice the difference) but a higher top speed (you will! ). As refined as the Bulldozer Plus and a little more money spent. We pass the this no profit upgrade onto you and give you the choice. Forks are changed to Air forks – with adjustable damping. The superb and best in class Maxxis Minion FBF and FBR tyres (more puncture protection, more traction, more high speed stability and looking so mean it scares a pit bull). Front and rear hydraulic disc brakes (the rear with re-genitive braking) with electrical cut offs. 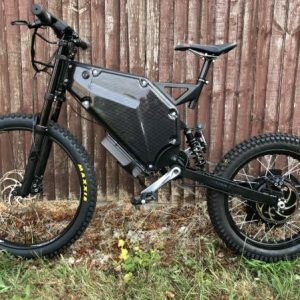 9000 watts peak phase watts and 38 – 43 MPH but designed for a higher top speed and acceleration (out drags a 50 cc moped). This bike rides straight up to 38 mph and wants to keep going with my heavy 280 lbs (but I don’t!). Has 5 PASS (Pedal Assist Settings)/ Power settings (road legal sub 250 W in level 1) and right hand grip throttle. The motor is a cloned QS205. 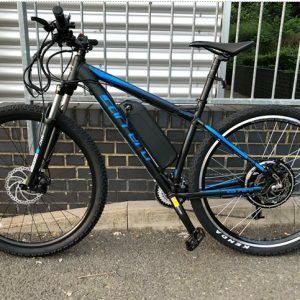 We have used the same model on other bikes up to 14,000 watts and de-tuned this bike to 9000 Watts to make this super reliable, loads of torque and keep the cost down (smaller battery). The motor controlled by with the latest Sabvoton 72060 with tft screen and watertight connectors. 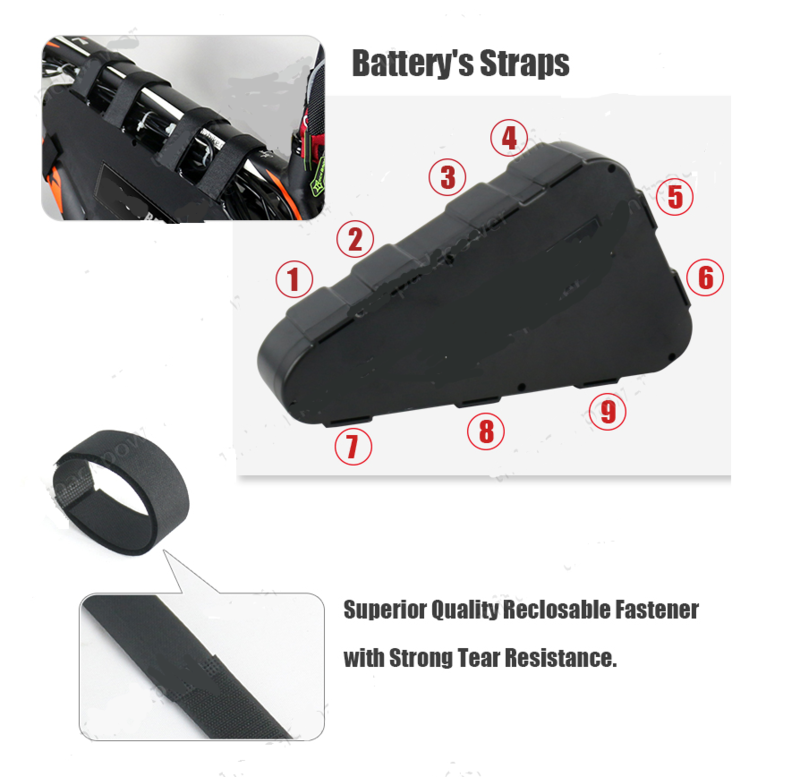 Battery is a 65v (18s6p – 75 V max) 19.2Ah Panasonic BD 18650 cells in a watertight hard case triangle battery; made from tough ABS Plastic (tough enough to stand on) with easy removal Velcro fasteners. 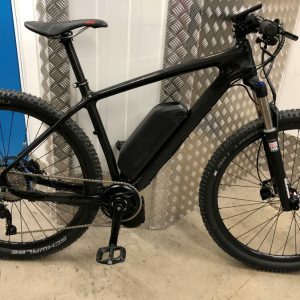 7 Shimano speeds (remember powerful ebikes need strength and not lots of gears) piloted via a carbon fiber 3k gloss 720 mm handlebar. Shimano hydraulic disc brakes with electrical cut offs (re genitive rear braking). This bike is designed for churning through snow, mud and carving through fast rutted sandy trail. Apparently it even out drags mopeds from the lights! (but we of course haven’t done this :). We sacrificed a little top end for more acceleration and the grunt to go up anything. If you’ve ridden a normal mid drive like BBSO2 or BBSHD, then double the acceleration. If you’ve ridden a “Halfords Pedelec” then imagine someone sticking a rocket under your bum and setting you on target for the moon. This thing flies! The bike is not to be chucked through a downhill competition course or jumps. 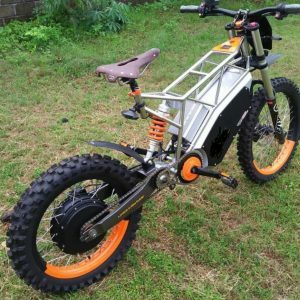 The bike is truly awesome and keeping the “Cycle Look”an yet moped performance plus performance, Mud Plugger and Dune Buggy ability – a brilliant deal. We dont make anymore out of the “Plus C “, we just refined it a little further without breaking your budget and simply added the cost. We can keep going but the cost goes up. The Bulldoze gets you on the track and in a big reliable and very competent way. Its a great starting block with strong core components (superb motor, controller, frame and battery, forks) that can be easily upgraded in the future depending your budget (for example and not included: Magura MT5E brakes, DNM Triple crown forks, Rockshox Bluto forks.) . The bike can be changed to your specifications if that what you want – just ask!